Brilliant return to the series mate, loving this! Glad you're enjoying Elsewhere's return! I was waiting for Elsewhere return!! It's one of the few fancomics/fictions that acknowledge Yamcha's worth. Thank you for a job well done!!!! Sorry for the long wait but thank you for sticking around! We'll be seeing this to the end! I'm so glad this is back. I didn't realize until someone on reddit linked it. What an amazing series, thanks for doing Yamcha justice. Thank you for reading and supporting it! Please spread the word that it's back! When's the next issue coming out? I love this comic. yamcha is my favorite character from dragonball, and i always hated how much toriyama shat on him during the show. Your art is great and the story is very well made. Keep up the good work! By the way does anyone know any other good dragon ball fan comics, preforably with yamcha in them? I have always wondered what the symbolism for this cover meant. Can you break it down for me RMK because it looks cool and I'm curious? Sure! The sword represents Yamcha's past in the Wolf School as well as his sins as a bandit. 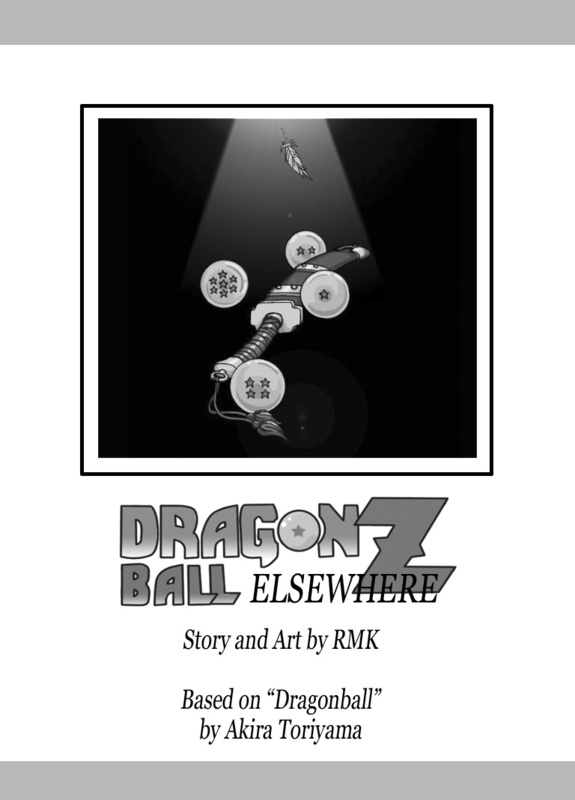 The Dragonballs are what got him on jis journey out of sin, and the feather coming down is heaven gracing his past. Since the story is about atonement and reconciliation, in part, it seemed apt. I'm glad someone asked this. That's some dope symbolism RMK. Oh WOW, I stumbled across your site and comic I think was late 2013 it was during the hiatus, So glad it is back I'm genuinely excited. I realize you stopped for a little I read your DA pages notes. I wish the best for not only your fan comic but all your original work you have or do come up with I haven as of this writing read your continuation of Yamcha's story but as soon as I finish typing this I'm going to read it as if it. I truly enjoyed what you did with the parts before your hiatus, So I imagine if your previews is a standard, I will enjoy this. Again thank you very much and look at you fan comic/manga as tool for you learning or honing of your craft. To help you in your originals. your fan comic is great, I believe in you, you can do it! God this strip would be great if it didnt come out once a year . Like the title states im doing my best to be your fan . However you lack concistency and this is coming from a fan of 3 years. Im giving it another month and after that im done. That's fine. I do this comic for me and in my free time with the military. I always appreciate good feedback and support from readers, and I enjoy it when others have fun alongside me, but if you want to take my infrequent updates personally, that's not my problem. It doesn't feed my family. Don’t worry about the haters, RMK. They don’t realize/care about the work involved to make a comic. Those of use that know and care appreciate your hard work.